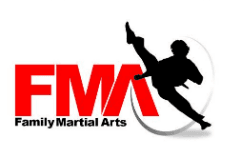 It's never been easier to begin your personal journey of self-discovery and begin learning martial arts - simply enter your information into the form here to sign up for a FREE 30 day VIP trial at Family Martial Arts. And, for parents, knowing your child has the tools to protect themselves if anything dangerous ever happens is priceless. Our martial arts program goes beyond kicking and punching. Our teaching also includes healthy eating as well as community service and Leadership Life Skills in a fun and safe environment. The earlier you involve your child in an environment that develops their physical, cognitive, emotional and social needs the more well-rounded your child will become. In our 3-5yrs Little Leader's program, children learn basic life skills such as respect, confidence and having a positive attitude. Our youngest students also develop coordination and learn how to take turns, follow directions and participate appropriately in a small group setting. Skills such as large and gross motor skills, balance, behavior development, and character development have been broken down into age-specific exercises, games, activities, and drills. These activities are organized in a simple format that the kids look forward to. Our approach includes reinforcing good discipline, displaying confidence, and maintaining a positive attitude. Our Little Leaders Program reinforces values and good learning habits that will have a tremendous influence on their potential in everything they do. Through the activities provided, children will develop better listening skills, an increased attention span, and learn how to cooperate with others while having fun socializing with you and children their own age. This establishes a strong foundation for success in school and in social settings. So why wait to give your child the gift of the greatest start in life!